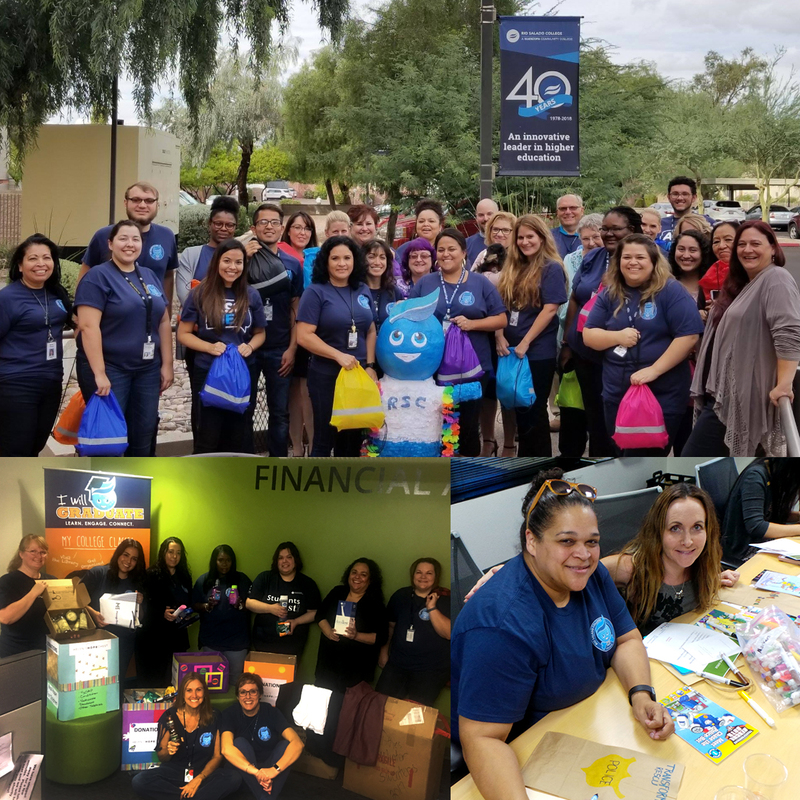 Rio Salado staff members have been volunteering their time and talents to local charities as part of a college-wide effort to fulfill 40 acts of community service during our 40th anniversary celebration. 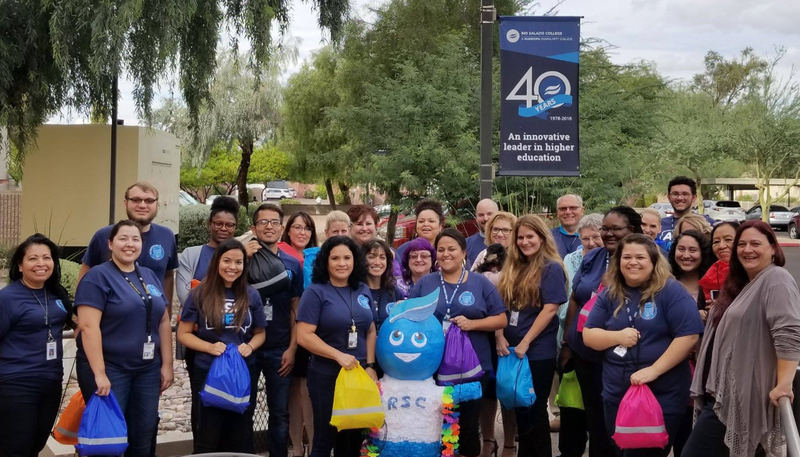 Here’s a look at the latest activities by our Rio Salado family. Rio Salado staff members from our Library, Counseling, Student Life and Alumni teams volunteered 20 hours of service to the Valley of the Sun United Way’s Book-in-a-Bag project on Sept 13 and Oct. 2. 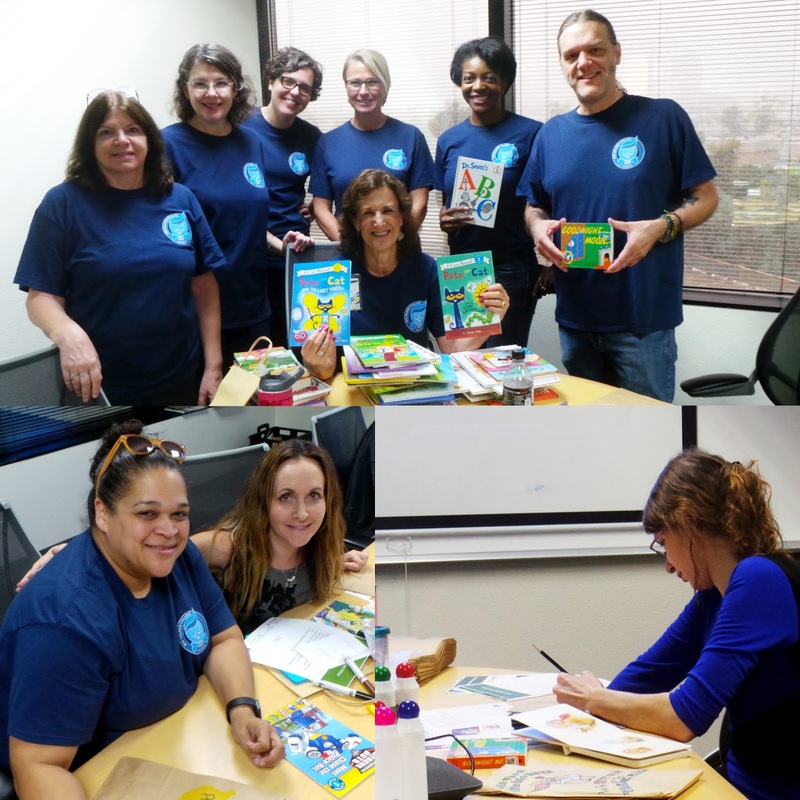 Volunteers collected new and gently-used K-4 grade books, decorated bags to represent the theme of the specific book and assembled literacy kits that included the books, bookmarks, reading comprehension pages and reading tips for parents. The teams were was able to assemble 27 literacy kits. They also collected 45 books. Library volunteers included Tricia Hansen, Karen Docherty, Sarah Stohr, Kirstin Thomas, Kim Watson, Chris Orf and Hazel Davis. 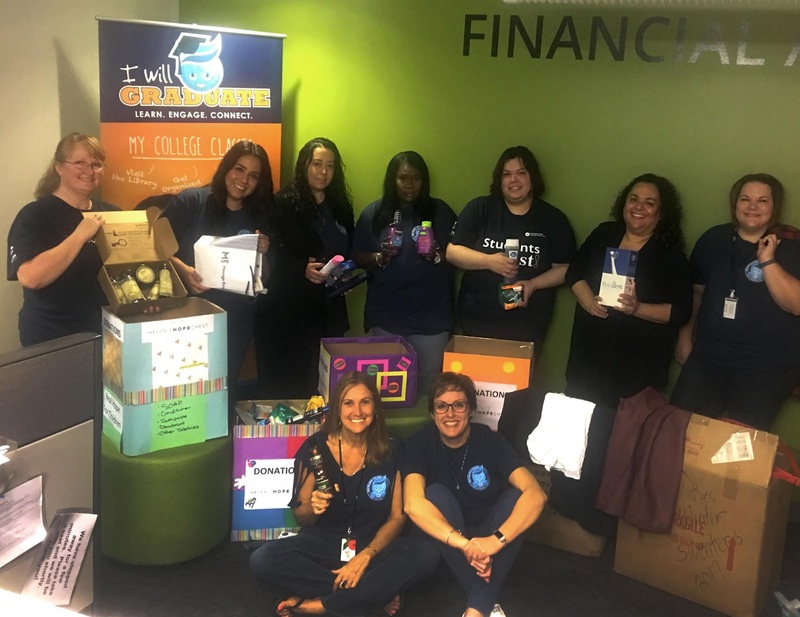 Members from the Counseling, Student Life and Alumni teams included Melanie Abts, Amberly Lebeck Brown, Evea Morrow, Todd Aakhus and Alicia Lammie. Rio Salado’s Financial Aid team set up donation boxes at our Tempe headquarters and collected hygiene products for Mesa United Way’s Helen's Hope Chest. Among the participants were Christine Avenetti, Veronica Ochoa, Rebecca Feliz, Angela Clark, Maria Ruelas, Maribel Carlos, Charity Downing, Cindy Hall, Trish Smith, Nanci Regehr, Mary Rosas, Jeff Anderson and Traneice Bradley. Members from our Admissions and Records team volunteered their time and service on Oct. 11 to OCJ Kids (Opportunity Community and Justice for Kids). The team created Cuddle Bags for children entering either foster care homes or group homes. Staff donated blankets, small teddy bears, overnight hygiene supplies, snacks and water bottles, which they placed into convenient drawstring bags so kids can easily carry. These bags are given to at-risk children when they are being removed from their homes by Department of Child Safety workers. Among the participants were Melissa Sandoval, Max Christenson, Amber Adams-Hill, Elaine Andrade, Kevin Castillo, Alma Aguilar, Sophia Cordova, Sasha Flores, Laurel Redman, Terri Sandoval, Pam Kramer, Priscilla Guitierrez, Claudia Contreras, Jake Hall, Cori Christenson & Greta, Kristine Ballard, James Schermetzler, Kay Pealstrom, Chab Bailey, Aileen Bonilla, Heather Windster, Mark Traintor, Chris McCollum, Alberta Salcido, Mary Andrade, Tamara Webb and Emily De la Ossa. Visit this Facebook album to see more photos.